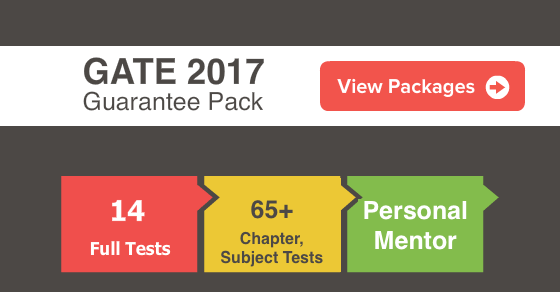 Graduate Aptitude Test in Engineering (GATE) is conducted annually for admission to post graduate courses in highly renowned institutions across the country.Engineering Mathematics constitutes an indispensable part of the GATE exam as the weight-age of this subject has been consistent over the years.Engineering Mathematics carries nearly 15% weight age in GATE exam. This section often seems daunting due to its vast syllabi. However, this section is the easiest and most scoring. The preparation key for such a challenging subject is to make short notes and formula sheet for quick revision.If this strategy is followed result is 100 % guaranteed. 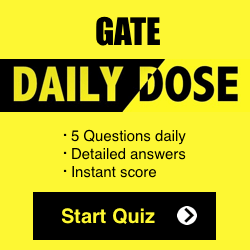 Subscribe for free tutorials, news updates,daily Quiz, free tests for GATE 2018 at your personal inbox. Our experts have devised a topic-wise strategy which will assist you in GATE 2018 preparation. Linear Algebra: You must focus on topics like Matrix Algebra and Eigenvalue problems as questions from these topics are frequently asked in the exam. Focus on topics like Properties of Eigenvalues and relation between eigenvalue of two matrices. Concepts like Basis vectors and span of basis vectors could be skipped as these topics are absolutely unimportant from GATE perspective. Calculus: Solve maxima and minima problems and focus on the topic of vector calculus. You must be thoroughly aware of the properties and basic concepts of calculus in order to solve calculus questions successfully. Dedicate ample amount of time in studying Gradient, Divergence, Curl and Vector Integral theorems. Probability and Statistics: This is a highly scoring topic as the questions do not involve any complex calculations. In Statistics, focus on Mean, Median and Mode concepts and Coefficient of Correlation. You must lay emphasis on Baye’s Theorem, Random variables and Poisson’s Distribution in probability section. Numerical Methods: You must practice equation solving using Newton-Raphson and Bisection method and numerical integration techniques. You must memorize the formulas for Trapezoidal Rule and Simpson’s Rule. You must be proficient in calculator use to conduct recursion speedily. The best way to prepare for this topic is to focus on the most relevant topics and skip the unimportant ones. Complex Functions: It is the smallest topic in terms of its course content in entire Engineering Mathematics. You must pay attention to topics like Cauchy-Riemann Equations for Analytic Functions and Residue Method of Integration. The rest of the topics are not important from the GATE perspective. 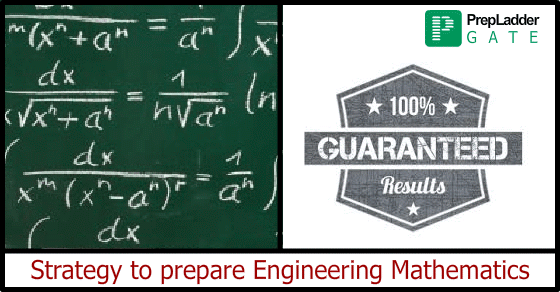 The best way to prepare Engineering Mathematics section is to be thorough with the concepts, Formulas and Methods. You can easily attempt questions correctly provided that your foundation is strong. You can also take online mock tests prior to appearing for the exam as this will help you evaluate your preparation level and take necessary steps for improvising upon your weak areas.